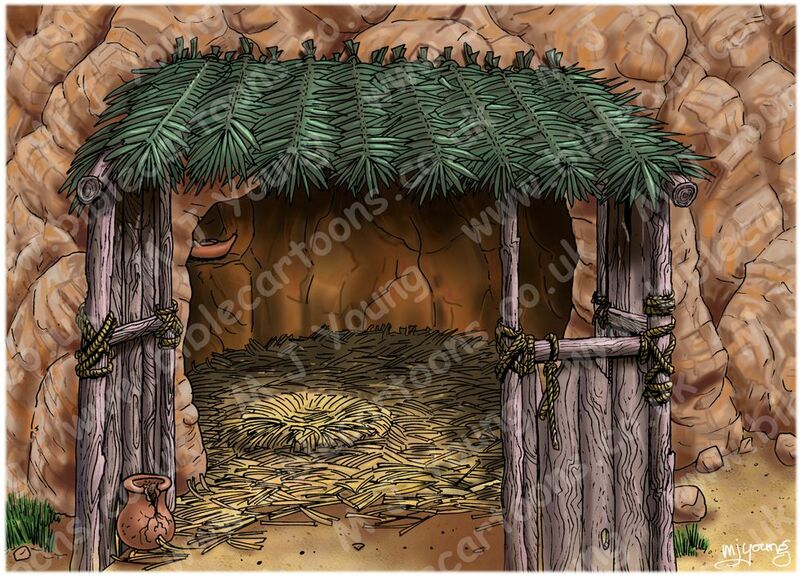 Bible Cartoons: Matthew 02 - The Nativity - Scene 04a - Just a stable? 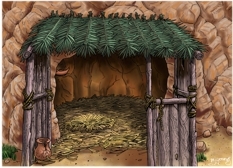 Bible Cartoon: Matthew 02 - The Nativity - Scene 04a - Just a stable? I have set this scene in the early afternoon. The main source of light for this scene is the sun, coming from the top right. Matthew’s gospel doesn’t tell us that Mary & Joseph were living in Nazareth, Galilee at the time of the conception of Jesus. 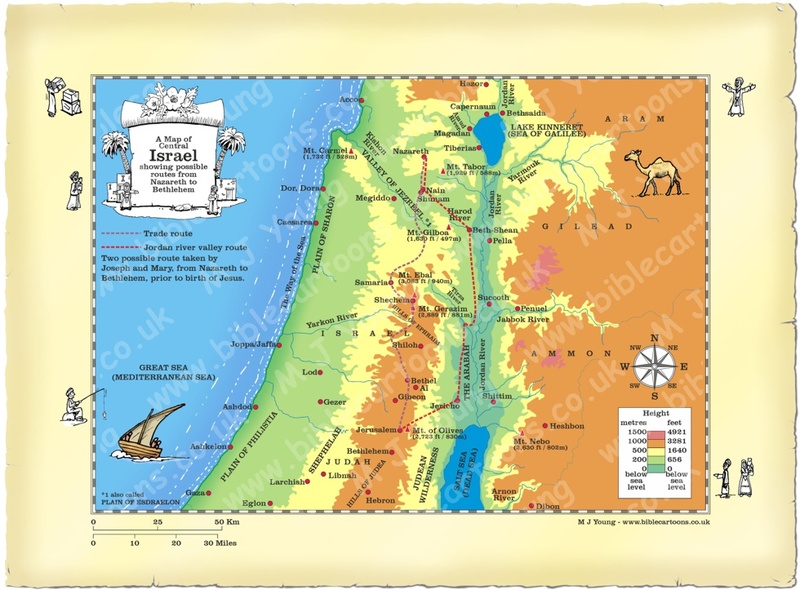 Matthew also omits the detail of their journey to Bethlehem. 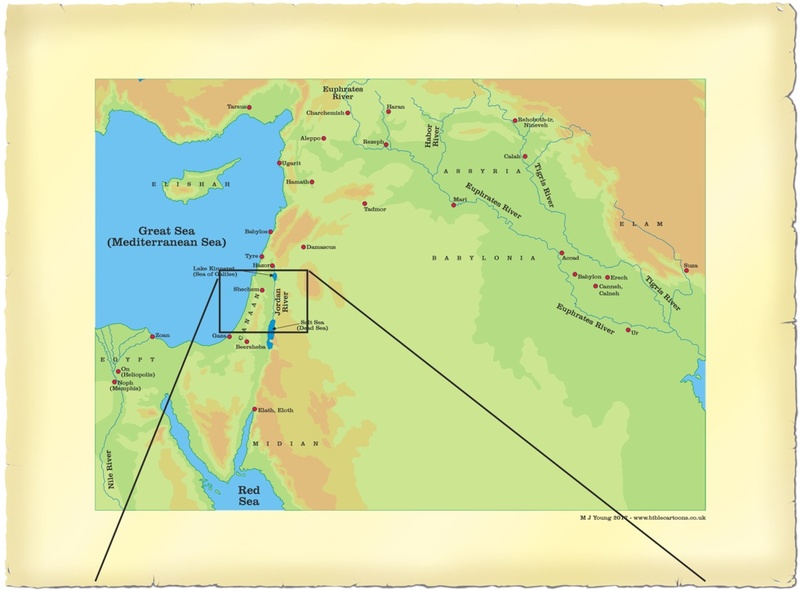 The map below shows you the probable routes Mary & Joseph may have taken on this long journey. Looking at photographs of the area, the rocks on the soil surface are pale & look like Chalk &/or Marl, which is why I have used pale white, cream & yellow colours for the ground, rocks & building stones in my cartoon, to reflect this geology.